If you have any interest at all in social media marketing or business strategy, then I’ll assume you (like myself) obsessively read every article on these topics you can get your hands on. And if you’re anything like me, you’ve probably read a couple or ten articles on Instagram marketing strategy. Now, maybe it’s just me, but it seems like 9 out of 10 of those articles (or maybe 10 out of 10?) cover the very most basic ideas. And maybe, just maybe, you already took care of that stuff like yesterday (or like five years ago yesterday). So, in recognition of the fact that the internet has been beautifully blessed with plenty of articles explaining Instagram basics in excruciating detail, today we’re doing everyone a favor and moving on to some more advanced tactics. These are the strategies that will enable you to grow your account beyond 1000 followers and into the tens of thousands. So let’s do this, shall we? For any given hashtag, there is a certain number of likes required to make it into the “top posts” for that hashtag search. This depends largely on how many posts that hashtag has. That means that if you use a hashtag that has 500,000 posts, and your post gets 100 likes, then you won’t show up in the top posts. On the other hand, if you use a hashtag that has only 1,000 posts and you get 100 likes, then you’ll almost certainly end up in the top posts — but it might not even matter, because so few people are likely to be searching for that hashtag. This means that it’s super important to use hashtags that are as popular as possible, but not “too” popular. To figure out which hashtags to use, first you’ll need to do some testing. First, make a post and include hashtags with a wide range of popularity, in ascending order. That is, your first hashtag should have 1000 posts, the 2nd should have 5,000, the 3rd should have 10,000, the 4th should have 20,000, etc. Then, after you post (about 12 hours later), go in and click on each of the hashtags, starting with the smallest one and working your way up. For each hashtag, check to see if your post is in the “top posts.” At a certain point, your post will stop showing up in the top posts. That is (roughly) your “limit” for what popularity of hashtag you can compete for. So, for example, if you’re in the top posts for your first several hashtags, all the way up to a hashtag that has 30,000 posts, but then you don’t show up for a hashtag with 40,000 posts, or any of the hashtags after that, then you’d know that somewhere between 30K and 40K is roughly your limit for showing up in the top posts. Once you’ve completed this test, run it a few more times with a narrower focus. The second time you run it, for example, you might only include hashtags between with 25,000 and 50,000 posts. After you’ve tested three times, you can be pretty confident of what your limit is currently (but it will go up in the future)! Once you know your limit, you’ll get the most “bang for your hashtag buck” by using as many hashtags as possible that is just under your hashtag limit. For example, if you determine that your limit is about 40K, then you want to use as many hashtags that are just under 40K posts as possible, because those will be the most popular hashtags that you could rank for. It’s also a good idea to include just a couple of hashtags that are a little over your limit, just in case you do happen to get more likes that normal. Avoid getting flagged as a business account at all costs. Last year, Instagram rolled out “business accounts,” a new account type that allowed users to self-identify as being businesses. 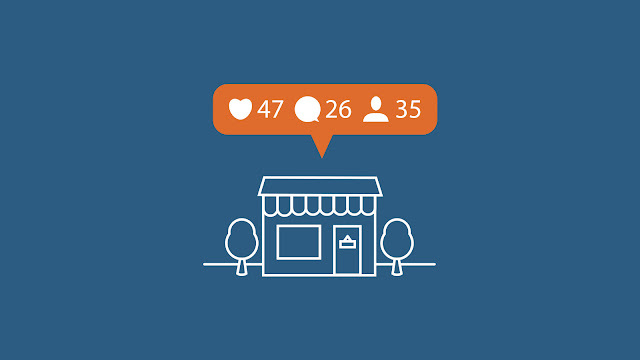 Instagram promoted the business account option as beneficial because users would have access to analytics and additional advertizing options. However, with Instagram’s recent algorithm update we have seen a marked decline in the engagement that business account posts are receiving. For quite a while Instagram has been using an advanced algorithm to decide which posts are displayed in each user’s feed (rather than a simply chronological feed as it originally was). However, previously the algorithm was based purely on engagement — posts with more engagement got greater reach. Now, however, business accounts — including any account that Instagram’s algorithm believes is most likely a business account — are consistently getting a smaller reach than personal accounts. Instagram is a business and wants to increase their profits by forcing businesses to pay to reach their customers. If your goal is to grow your account organically (or you simply don’t have a large marketing budget), then it’s important that you avoid being considered a business account. Target a specific handful of influencer accounts. Turn on notifications for these accounts, so that you can see as soon as they post. Regularly like and comment their posts so that you get exposure to their audience. By focusing your attention on just 10 accounts, you’ll be able to generate exposure and get noticed by the influencer. This can open the door up to future collaborations, such as a “feature for feature” or doing a group contest together. How ever you are able to work with a bigger influencer than yourself can help you gain greater visibility and attract new followers. Okay, so I’m sure you’re thinking, “Duh, I know that engagement is important. That’s not an advanced tactic.” And you’re right — engaging is common sense. We all know that the more engagement a post gets, the more it is favored by the algorithm. But let’s get into the nitty gritty just a little bit more. After all, there are at least three different kinds of engagement (like, comment, follow, as well as direct message) and an unlimited number of different people you should engage with. To get the best ROI on your time spent engaging, it would be helpful to know exactly which type of engagement will result in the most followers. Fortunately, we have some data on this! I began by simply following 100 of my competitor’s followers. Later, I followed another 100 of my competitor’s followers but I also took the time to like one of their photos. Finally, I followed another 100 of my competitor’s followers and commented on one of each of the 100 user’s photos as well as liked that same photo. The results are pretty clear: taking the time to like a picture and leave a quick comment more than double the likelihood that a user will follow you back. As for who you should be engaging with — focus your attention on those top ten accounts that you identified as being most like your own. Their followers are the most likely to be interested in your account. Take the time to recognize your most loyal followers. Look at who likes and comments on your pictures the most, and be sure to give them some attention. You can like and comment back, but you can also take it a step further by featuring them on your account. There are a number of ways to feature your follower. It could be as simple as a quick shoutout, or as extensive as a post (picture and caption) completely dedicated to them. You can also regram one of their pictures and give them credit, or quote them in your caption. However you do it, other influencers (even if they have more followers than you) will always appreciate some positive exposure. They’ll quite possibly return the favor down the road, or at least comment and give you a like. Post at least twice per day. The absolute minimum that you can post if you want to grow your account is once per day, but posting twice per day can grow your account nearly twice as fast! If you’re serious about growing your Instagram account then putting in the extra effort can make a big difference. Use an Instagram analytics app to learn your best posting times. There are many different Instagram analytic apps available that can help you understand what is going on in your account. For example, you can see the metrics on which of your posts has performed the best, which can help you decide what to post in the future. However, the app Iconosquare has a unique feature which many people find very helpful. Iconosquare can tell you what time of day (and what day of the week) your posts got the most engagement. Timing really is key, because different demographics of people are on Instagram at different parts of the day. If you’re always posting at 5am, but your target audience isn’t awake at that time, then they’ll never see your content. Using Iconosqure can tell you exactly when is the optimal time for you to post. Here’s one reason why this is especially important: one of the main ways we attract new followers is by showing up in the hashtag search, especially the “top posts” of any given hashtag. The top posts are determined by engagement. So, if you post when your audience isn’t around to engage then you won’t make it into the top posts and gain new followers. Studies have shown that including “call to action” words, such as “like,” “comment,” or “tag a friend” make such actions as much as 200% more likely than if you don’t say them in your post. Again, we want to encourage engagement as much as possible, so it’s important to get your followers to take these actions as much as possible. Keep in mind that only the top three lines of text in your post show, unless the user taps “read more.” So if you’re going to use a call to action then you’ll get the best results if you can include it near the beginning of your caption. Do you have to be perfectly consistent with your look? If that’s your style, then yes. Sometimes a brand is focused on a color or visual design, but other times the focus is just on the feel or type of picture. Those who follow you choose to do so because they like your style or what your account is about. By staying consistent you’ll retain your followers better. Aside from using pictures that suit your brand, you can also use science to know which pictures are likely to perform better. Here’s a great infographic that explains exactly which image qualities and editing styles drive the most engagement on Instagram. Post a mix of pictures and videos. With the recent algorithm updates, Instagram now favors video to some extent. Video is also great for getting more personal with your followers, which can help to deepen your relationship with them and develop their trust in you. However, Instagram is still primarily a photography platform, so that’s what most people are actually there looking for. Because of this, it’s important to post a mix of content, with an emphasis on still image posts. Be more than a pretty feed. People can find pretty pictures anywhere. If you want them to truly connect with you and become your raving fans (the kind who actually stick around and might eventually buy something) then you need to actually have a personality and stand for something. Your users are much more likely to get behind a cause or a lifestyle than they are to get behind you — especially when they’ve only first met you. By making your account about more than just pretty pictures, you give your followers something to relate with, so that they are actually interested in what you are showing them. Use your customer’s hashtags, not just your competitor’s hashtags. If you’re only using your “industry” hashtags, then you might only get followed by businesses that are similar to you, rather than by the people who would actually buy your product (or the product of a sponsor). For example, if I were a web designer and I always used hashtags like #webdesign #ux #designportfolio then other web designers might find my account through the hashtag search. However, my customer would NOT be web designers. My customers would be small business owners who wouldn’t be searching for those terms at all. So head back to those top ten competitor accounts, go into their follower lists, and take a look at what hashtags their followers really are using. Add an Instagram feed to your website or Facebook page. To grow your audience as quickly as possible, promote your Instagram across your other social media accounts. One slightly more advanced and quite nice way to do this is to install an Instagram feed on your website or Facebook page. 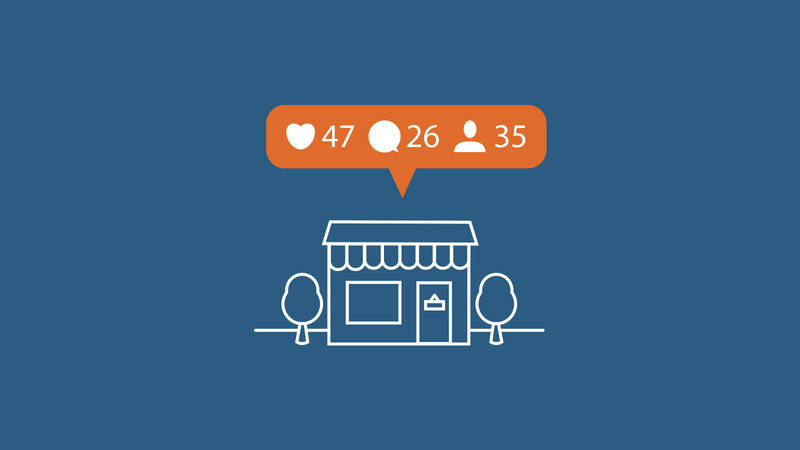 Seeing an attractive sample of what your account looks like will entice your target audience to follow you more than a Facebook post of “Follow me on Instagram!” would. Start a Facebook follow train. A follow train is when you make a post on Facebook that asks people to post a link to their Instagram account and follow everyone else who also posts. This is an easy way to gain several dozen new followers and connect with other Instagrammers who are also looking to grow their accounts. The best place to start a follow train is inside of a relevant Facebook group, such as one centered around business, social media marketing, or your specific niche. The image, of course, is a picture of the prize being offered. Sometimes the accounts sponsoring the giveaway all contribute money to put towards a prize (such as a MacBook), whereas other time each account contributes a physical product (such as a planner, book, tool, etc.). The loop is set up so that account A links to account B, which links to account C, then account D, then back to A. There can be any number of accounts in a loop giveaway, but 4 – 10 is the most common. For best results, be sure to team up with other accounts that have similar audiences to your own. That way you’ll acquire followers who will actually be interested in your account — they’re a lot more likely to stick around for the long run. Wondering how to find other accounts to do a giveaway with? That’s where the Facebook follow thread comes in. Everyone who posts their link on your thread is obviously interested in growing their account, so they will quite possibly be eager to participate in a loop! Reach out to each of them and invite them to join you. There is a huge variety of types of contests that you can run for your followers that can encourage engagement and follows. Some of the most popular types include photo contests (where your followers post images that meet certain specifications and use a hashtag you came up with) and “tag a friend” contests, in which people enter simply by tagging a friend of theirs in the comments. Here’s an article from Social Media Examiner that goes into detail on a number of types of Instagram contests you can host. Sponsor posts on large accounts in your industry. If you’re serious about growing your account, then you’ve probably wondered if paying for advertizing would be a good strategy. Well, honestly, I don’t think that it’s a great idea (at the moment) to purchase advertising from Instagram/Facebook itself. That’s because doing so automatically informs Instagram that you are a business and are willing to pay to reach your customers. We want to avoid that at all costs! However, there is an amazing alternative! Instead of paying Instagram itself, you can purchase adverts directly from influencers by sponsoring posts on accounts in your niche. Instagram won’t flag you as a business account. The advertising is generally cheaper. You’ll likely see a better response than you would from an Instagram ad. The reality is that users are actually much more likely to respond well to a featured post on an account that they already trust than they are to a foreign ad that is forced into their feed by Instagram. A smaller, more targeted following is always better than a larger, untargeted following. Your followers are individual people, not just numbers. It would be better to have only 100 followers, if they really know you and are interested in what you are doing than to have 10,000 followers who don’t trust you or care about what you have to offer. This means that it’s worthwhile to use strategies that only attract a handful of followers, if they are those people who will truly be interested in your account.